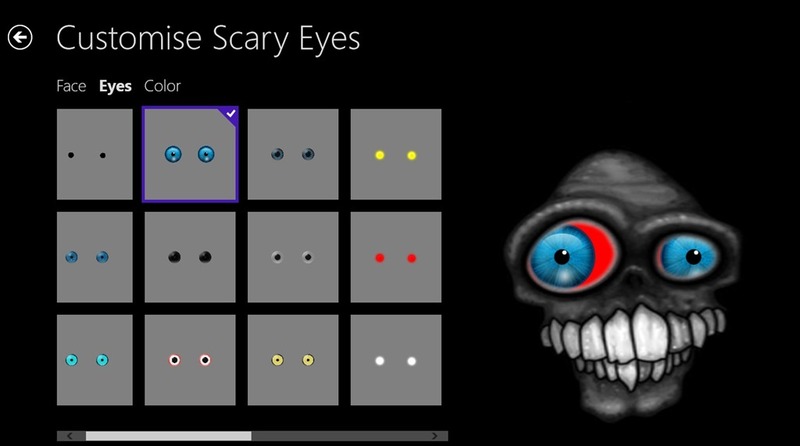 Scary Eyes is a free Windows 8 Halloween app. The app allows you to make customized faces using different scary eyes and colors. The app is freely available in Windows Store in the Entertainment category. You can use these faces to scare off people. The app works well on Windows 8 Computer, but in order to have a better feel of this free Windows 8 Halloween app, use it with Touch-enabled devices. For these devices, the app works great with Accelerometer feature and gives animated effects with it. Let’s help you get a better idea about how it works. 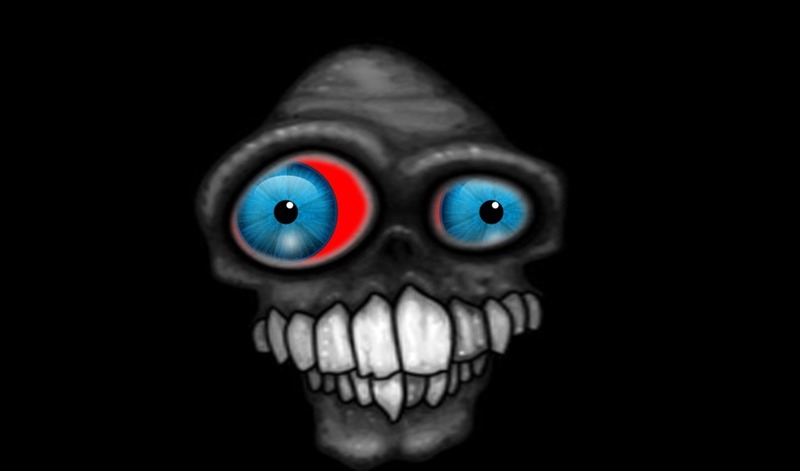 Scary Eyes let you create scary faces, by choosing from a number of options available for faces, eyes, and eye colors. As you land into the app, a skeleton will appear. In order to start making Scary faces, you firstly have to right click anywhere on the app, following which a flyout will appear in front of you . Click on the Change option. Choose from a number of faces that are available under the Face option. As you select any of the appearing faces, it will be previewed to you. 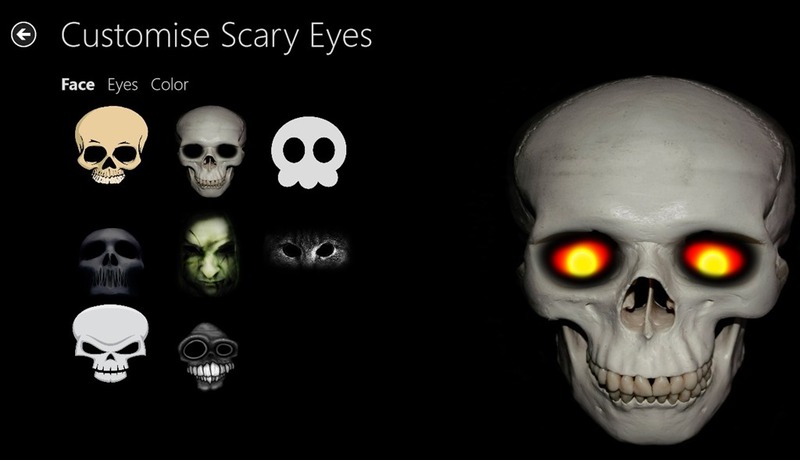 Now, if you get to the Eyes section, then a number of scary eye pieces will be shown to you. 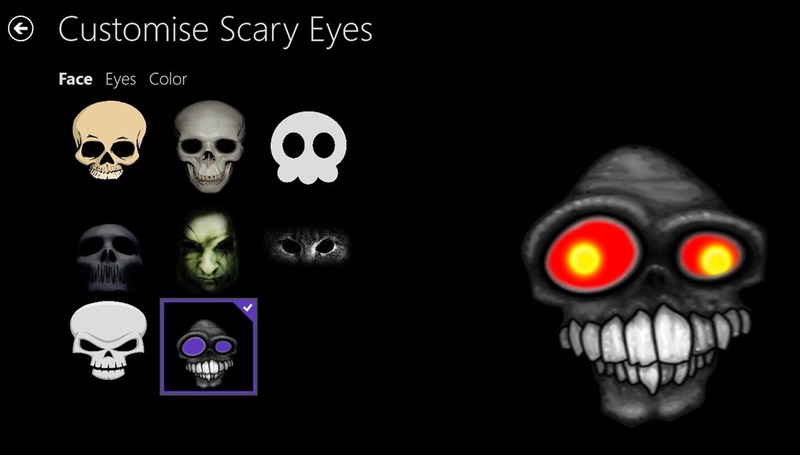 Choose from the appearing options in this free Windows 8 Halloween app, and the face you have earlier chosen will appear with the chosen eye piece. You can choose from a good number of options available here. 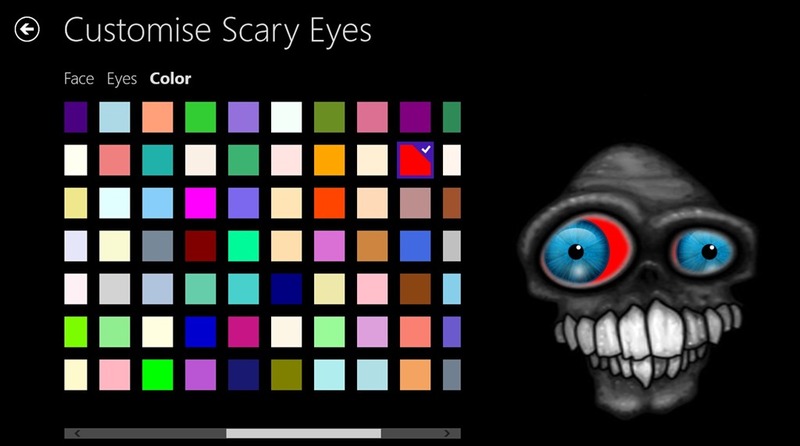 As you get to the Color option of this Windows 8 Halloween app, you will be shown a number of colors to chose for your Scary eye piece. Now, a large number of color options are available here for you to choose from. Now, you have customized all the options available in this Windows 8 Halloween app. After this, just click on the back arrow. As you click on the back arrow, the face will be previewed to you. If the preview looks fine to you, your work is done. Against this, if you are not satisfied with this face you can customize it again choosing different options. For that, right click anywhere on the screen and the option to change it would appear in the flyout. Note: There’s no way to download, save, or share your work in this free Windows 8 Halloween app. However, the app creates a temporary backup of your work and shows you its preview the next time open the app. As a tip, you can take screenshot of the face you have created and send it to any of your friends to scare them off with these spooky faces. Also Check out these other Windows 8 apps reviewed by us: 3D Marble Tracks, The Big Picture, Storm, EnkrypTo. Free availability: The app is freely available. Choose from a number of eye pieces and faces. Choose from a number of colors available in Color Panel of this Windows 8 Halloween app. Have a better experience with accelerometers in Touch-enabled devices. Finally, I would like to say that although the app is good, but if there was an option by which you can either save these scary faces to some location or share them with others, then the app could have worked better. But, it is worth a try.